There is no place on earth that replaces the comfort of your own home. So when a family member isn’t feeling well, in-home health care makes a lot of sense, but can you afford it? Even families who might think the cost of in-home care is out of reach, are surprised to find that funding is often available to help offset the cost. Plus, home care isn’t just for the person who is ill. Family members living with and caring for an ill family member also benefit. As authors Kant Patel and Mark Rushefsky point out in their book Health Care, Politics and Policy in America, the U.S. General Accounting Office found that home health care has a major impact on quality and quantity of life. In other words, aide for elders in the home can contribute both to more years of life and to livelier years for people who receive it. Patients who get the extra care they require sooner rather than later also enjoy more free time with family members when a home health care worker provides for some of their essential needs. Home health care is more than just a professional calling; it builds personal relationships between caregivers and clients. Like all relationships, these connections take time to develop; by choosing home care earlier, you give a loved one more time to feel comfortable with assistance from a trusted provider. Many home care recipients find the bond that grows with a care provider as rewarding as friendships formed in other ways. For families deciding between institutional care and home health care, choosing the latter early could help postpone the former. Supervisory care can help prevent falls or injuries sustained when people in need of care tackle too much on their own. By staying healthier with appropriate levels of home care, loved ones are able to stay at home longer and remain a vital part of the family. With in-home care, there are no visiting hours; the family stays together, and loved ones who need assistance get to stay in familiar surroundings. 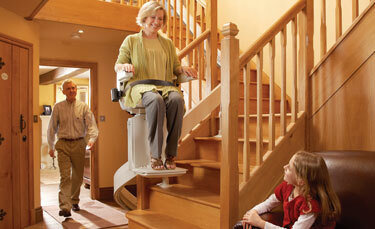 Home care recipients often find that assistance around the home makes maintaining personal independence easier. Without the need to focus on basic care or mobility concerns, clients can return to things they find more meaningful, such as hobbies or time spent with friends and family. Having home health assistance means having some autonomy and removes obstacles for loved ones, while helping to keep everyone’s stress levels down. Choosing home care sooner gives you more time to examine all your options, and starting early ensures that you get the best possible outcome for you and your family member. Medicare and Medicaid are valuable resources for families with loved ones who need home care, but working your way through the system can take time. Getting an early start on learning about eligibility, finding out which services are covered and finding a provider helps you get the care your family member needs sooner. To learn more about Medicaid and home health assistance, the official U.S. Government Site for Medicare has the details on what you need to know. When you’re ill or recovering from an injury, being home can be a tremendous comfort. For people who need short-term care while recuperating from an illness or surgical procedure, choosing home care early in the recovery can lead to improved outcomes later. Personalized care allows recuperating patients more independence and lets them focus on the vital work of getting better. Home care personnel help with medication management, mobility assistance, personal care and other aspects of recovery that benefit the entire family. One of the greatest advantages early in-home care offers is peace of mind, and not just for the care recipients. Everyone needs help occasionally, and having knowledgeable, compassionate assistance close at hand can be reassuring for recovering or elderly people. Families also find more peace with the decision to have home care. Home care assistance complements the care you already give and lets you focus on providing the love and emotional support every member of your family needs. By arranging home care sooner rather than later, you give yourself and your family more quality time together. Nothing compares to the love and support of family, and it’s most abundant when loved ones can remain at home. By Alison Johnston She is a writer living in the greater Denver area who loves living a health active lifestyle. When she isn’t writing you will find her venturing through the neighboring mountains or dancing to the beat of her own song. This entry was posted in Health and tagged care, help, live, long, mom. Bookmark the permalink.